In our experience, you grow the most when surrounded by people who inspire and challenge you. 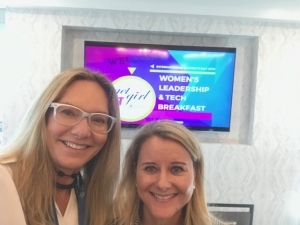 On March 8th, we had the privilege of spending time with plenty of inspiring women at the GetITGirl Women’s Leadership & Tech Breakfast. 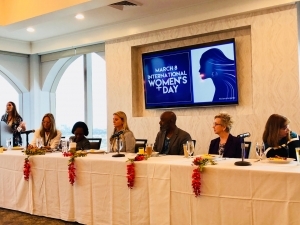 To celebrate International Women’s Day 2019, the South Florida Technology Association hosted a morning of conversations and networking for women in the local tech community. 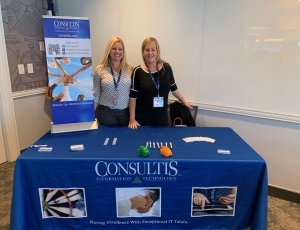 And in addition to Consultis cosponsoring the event, our very own Jamie Delsing and Nikki Cabus had a chance to participate firsthand. Here are the key takeaways from the day. Before the event began, it was already on track to be a hit. Registration for the event, held at The Tower Club in Fort Lauderdale, sold out well in advance. Close to 125 people attended that Friday. Ahead of our guest speaker and panelists, attendees had a chance to mingle and network with other South Florida tech professionals, which attendees told us they loved! It was a welcoming and beneficial atmosphere for women to foster genuine connections with their peers and talk about building success – both personal and professional. On to the main event! The theme for International Women’s Day 2019 was #balanceforbetter, or how to build a gender-balanced world together, a topic we embraced with open arms. Our own Nikki Cabus moderated the event by introducing our guest speaker and panelists, guiding the discussion, and overseeing a smooth morning. We kicked off the conversation with a speech from Iris Polit, tech marketer and the founder of Your Success Ace. For over 12 years, she’s experienced and navigated the gender gap in IT. Now, she uses her insight to share crucial messages with women about gender inequality and what women can do to overcome it and achieve their greatest goals. She was an inspiration and kept the audience engaged throughout her talk. What was especially refreshing during the GetITGirl Women’s Leadership & Tech Breakfast was the honest and direct nature of the conversation. The panelists were all very open. We discussed how gender biases are created and reinforced in women from a very young age. We weighed in on how women are conditioned to be perfectionists and take roles that sacrifice their needs. Most importantly, these accomplished women very candidly shared their experiences to connect with the audience. One woman discussed the challenges of raising her kids and balancing work, dealing with a sense of guilt for both. Another shared her trials as a young black woman growing into leadership roles, the whole time trying to overcome messages that she wasn’t good enough. Another discussed the story of an employee of hers who was put on early bed rest during her pregnancy. Rather than benching this highly talented person, the panelist set her up with a computer in the hospital so she could keep producing amazing work. If this amazing event is any indicator, the women in Florida’s tech sector are already working to be better and achieve balance. 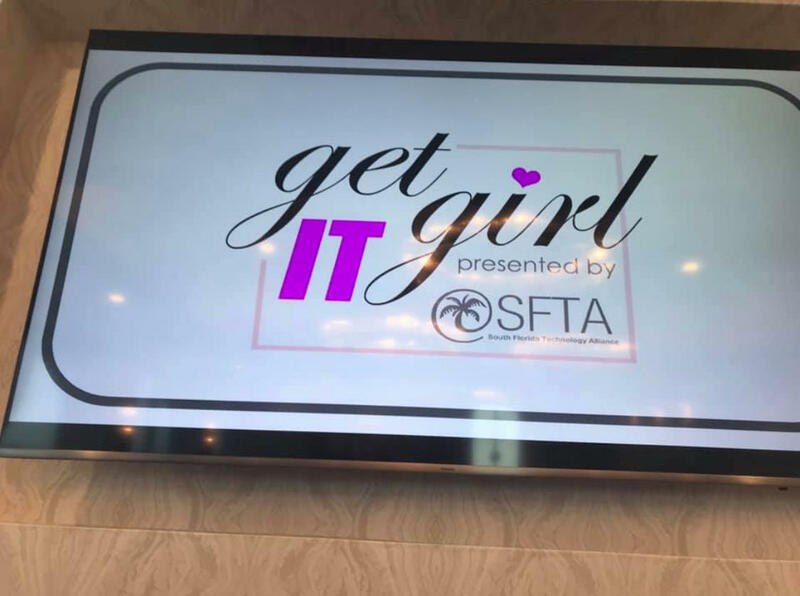 Want to get involved in future GetITGirl events? Visit the SFTA website or contact a member of the Consultis team to learn more!